Home » Tuxedo’s take center stage in Advocacy for Equality as the Carters take home The Vanguard Honor Award at GLAAD. Beyoncé and Jay-Z attend the 30th GLAAD awards for their honorable representation of Equality for the (LGBTQ) community. 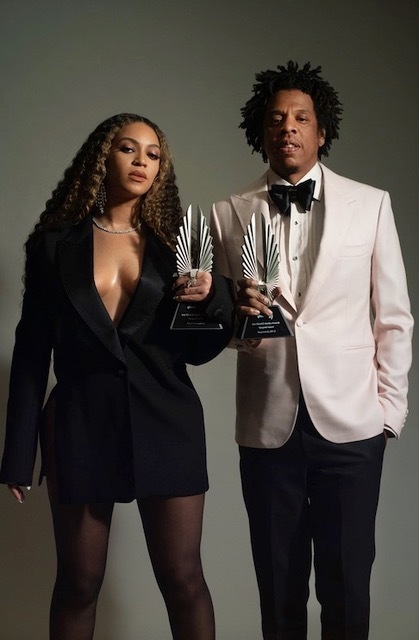 The Carters, both seen in tuxedos in advocacy for Equality. Beyoncé wearing Jimmy Choo pumps, accentuate of tulle’s, and a stunning Alexander Wang Tuxedo oversized to be fitted like a dress. Jay-Z sported a blazer and designer pleated shirt from FRÉRE. “We would like to request that we continue to shift the stigmas in this community,” Beyonce concluded.